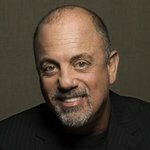 Billy Joel has signed a Steinway baby grand piano for an auction to raise money for a music program run for children in New York. The Piano Man has donated the $60,000 Steinway to benefit 10 O’Clock Classics, a non-profit organization that provides free lessons and instruments to Catholic-school children. The funds will be used by young musicians at East Harlem’s Mount Carmel-Holy Rosary School in Manhattan. Joel made the decision to sign the instrument after reading a recent article in the New York Times, Juilliard Curtails Program That Serves Poor Children. 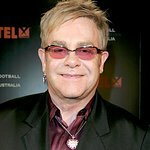 The sale of the Steinway will help pay for the children featured in the article to continue with their music lessons, and Joel will sign and personalize the fallboard (directly above the keys, on the right side) for the winner once the auction has concluded. Joel is on the advisory board of 10 O’Clock Classics, along with Alicia Witt. To find out more about the organization, visit their website. To make a bid in the auction, which runs until May 6, visit the Charity Buzz website.